The Spessart is a main forest in the middle of Europe. It is located between the rivers Main and Kinzig in Germany. The area of this park covers 2,500 km². The landscape of our park is dominated by hills, valleys, woods and wetlands. 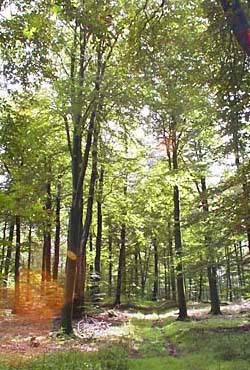 Common species in the woods are oak, beech, spruce and fir. Many meadows are found in the valleys and wetlands. In the Spessart the return of the lynx is encouraged and an important conservation aim is the protection of the eagle owl and the black stork. Since 2005 a further emphasis of the Naturpark Spessart is to develop corridors between several habitats. The Naturpark Spessart hopes that this will help to accomplish the conservation of endangered species in this part of Germany. 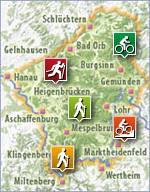 The Naturpark Spessart provides plenty opportunities for recreation. Have a look at our english guided tours!